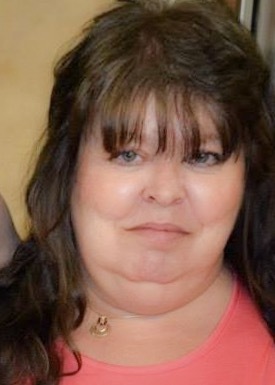 Teresa Inez Goff, 54 of Clarksburg passed away on Sunday, March 24, 2019 at her home. She was born June 19, 1964 in Prince Georges, MD; the daughter of Frances “Marlene” Shuman of Clarksburg and the late Robert Shuman I.
Teresa was an active member of the Stealey Assembly of God known today as Forward Church Assembly of God. In her free time, she loved writing poetry and short stories. Her hobbies was drawing and watching Criminal Minds. She loved spending time with her children and grandchildren and going on day trips with her mom. In addition to her mother, Teresa is survived by her two children, Danielle Johnson and Samantha Fuller and spouse Erik, both of Clarksburg; three grandchildren, Autumn Roy, Molly Johnson and Ian Johnson, all of Clarksburg; four siblings, Cynthia Peak, Jacksonville, FL, Robert Shuman II and Mae, Callahan, FL, Janet Billings of Clarksburg and Michael Shuman and Angela of Clarksburg; several nieces, nephews and cousins. In addition to her father, Teresa is preceded in death by her half-sister, Debbie Peterman. Family will receive friends at Davis Funeral Home, 124 Olen Thomas Drive, Clarksburg, on Thursday, March 28, 2019 from 11AM until time of Funeral Service at 1:30PM. Interment will follow at Floral Hills Memorial Gardens. In lieu of flowers, donations can be made to her Funeral Care Fund on her memorial website page. Online condolences may be sent to Davisfuneralhomewv.com. 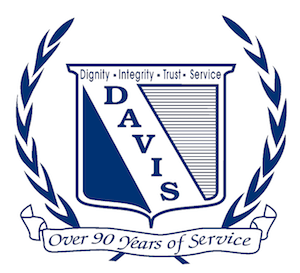 Davis Funeral Home is honored to assist the Goff Family.